Sukumari Bhattacharya was a well-known researcher and renowned professor of ancient Indian literature-history-culture. 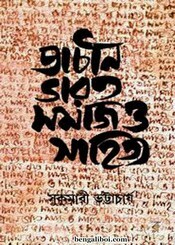 She wrote more than thirty books in Bengali and English language with equal skills. Sukumari Devi was an expert in ancient Indian society, mythology, history, vedas etc. Her work has become a milestone in the field of ancient Indian history. And she also achieved great success in the field of education. Today I want to share a research book of her writing- Prachin Bharat: Samaj Sahitya (Ancient India: Society and Literature). The ebook pdf has 230 pages, 20mb file size.